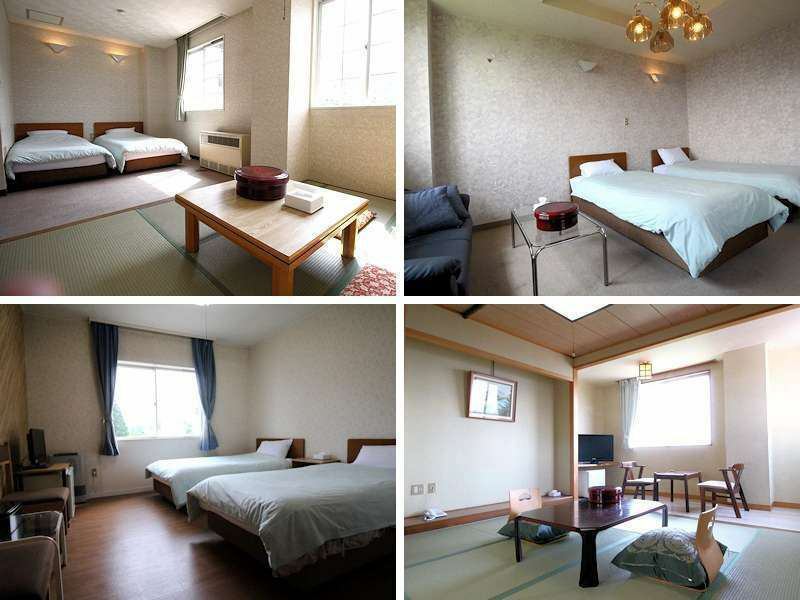 【Western-style room with bathroom】It is a twin room on the mountain side. Western-style room. Fresh green of the mountains·Autumn Foliage, Snow scene.Please enjoy each view. ●Twin Western room on the mountain side. I feel relaxed with a casual bed. ※Specification of the size can not be done, please understand. 【Japanese Style 14 sq.m. Bus toilet included】It is a Japanese-style room on the mountain side. Please enjoy the relaxing time with fresh air and refreshing climate. 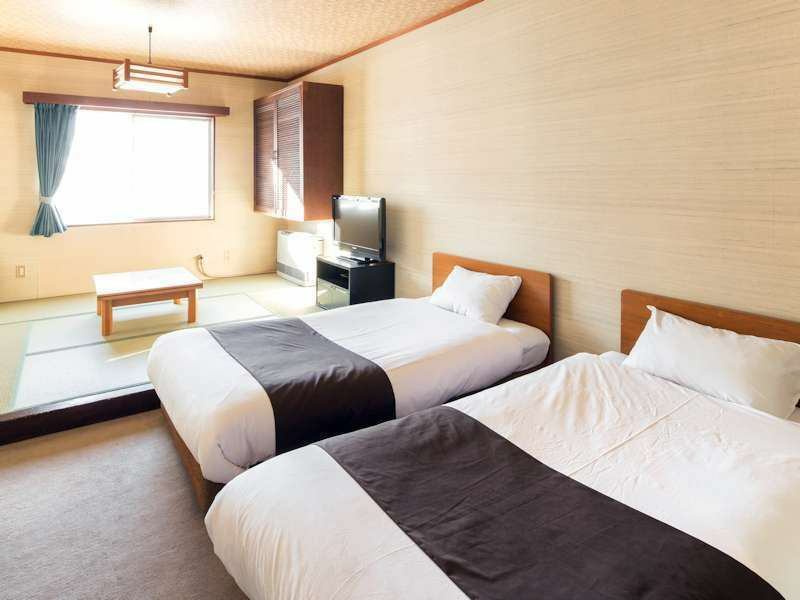 【Japanese + western style room with toilet】Spacious Japanese + Western room.Please relax at the tatami room and rest at bed. 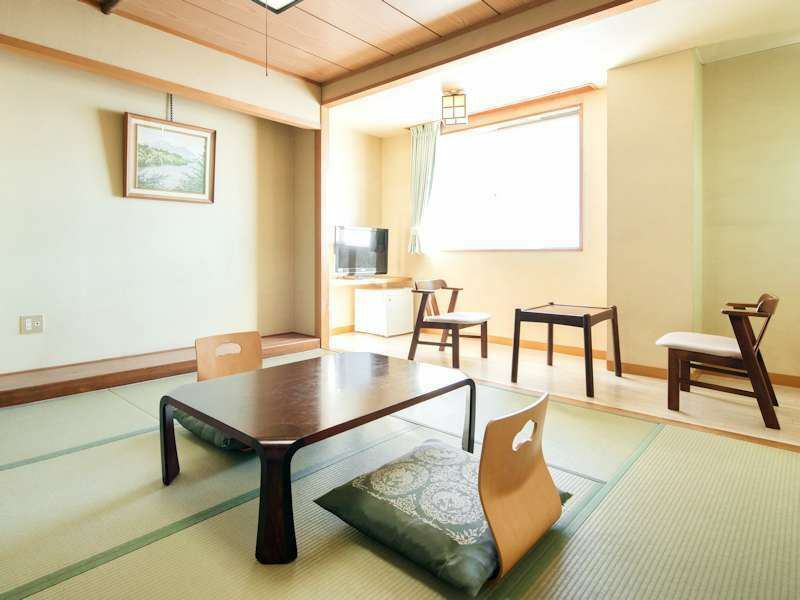 ●Spacious Japanese + Western room. ※We will inform you of one of the following two types. 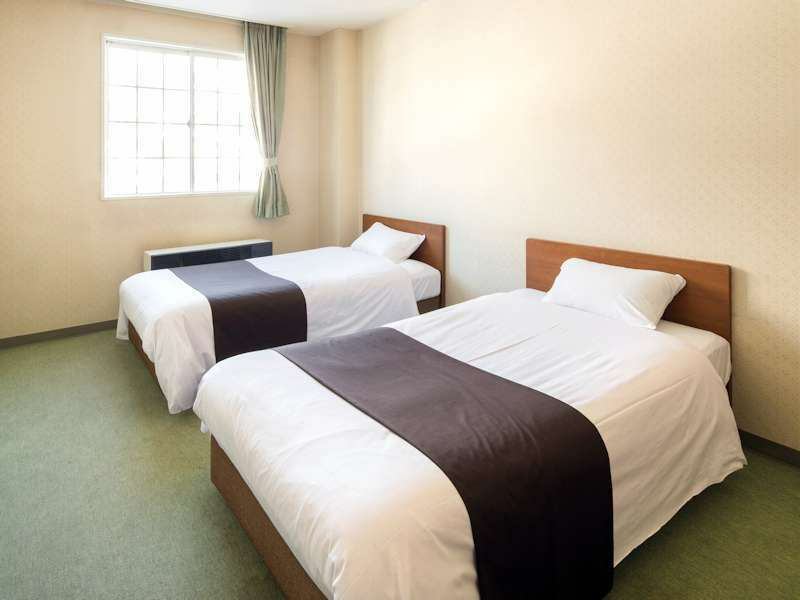 【Random Rooms】The room will be left at the hotel.You can stay at reasonable rates accordingly. ●The room is fun for the day! According to the number of people you use, guide you to any of the following. It will be one of 5 types. ※Designation is not possible, so please understand. 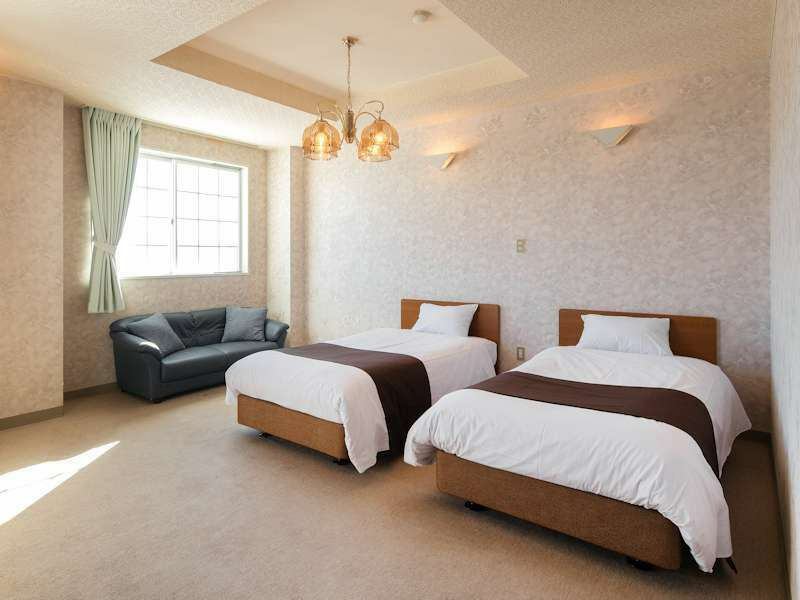 ※There are rooms that can accommodate up to 6 people, so please contact us if you wish. 【Western-style twin bath without toilet】It is a simple but relaxing room for a relaxing twin. ■This room is in principle a room without bath / toilet. ※Depending on the congestion situation, we may guide you to the room with bath / toilet. In that case, room addition charges will not occur. ※We can not accept your room designation.